This figure alone is staggering, and should be seen as particularly concerning as clients are increasingly resistant to being billed for time spent doing legal research. This is happening for two reasons: firstly, clients are beginning to consider legal research as an overhead expense of a law firm doing business rather than something billable. Secondly, there is a naive assumption that legal practitioners should know what they need to, not need to conduct research to find out. As a result of this, a number of firms are now writing-off time spent conducting legal research. A recent report in America found that over 25% of research time is no longer billed, amounting to approximately $60,000 per associate, per year. In any other industry this would be cause for great concern, but why has this not been addressed in the legal sector? There are three reasons for this. Firstly, the legal industry is perceived as a very traditional one, which is slow to adopt and apply new technologies to their working practices. This is now changing as there is less resistance from key stakeholders, and an increasing number of organisations are making a concerted effort to improve their software and processes, using more data-driven applications. This approach is being adopted in an attempt to gain a commercial edge over their competitors, although this has not yet been widely taken up where legal research software is concerned. Secondly, while the trainees and newly qualified solicitors who conduct legal research would benefit if it was able to be conducted with greater efficiency, considering ways to save the firm money and improve the systems used is not their number one priority. Rightly, they are far more concerned with effectively doing what they have been asked to do, using the research platform they are provided with. Finally, there is the procurement process itself, and the question of whose responsibility it is to evaluate and purchase legal research resources. 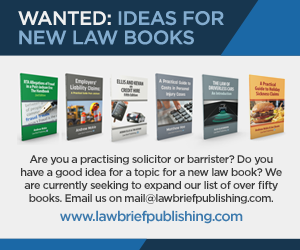 Although law librarians often have to manage research budgets, their primary concern is ensuring that content bases are covered so that any resources required by the firm are available when they are needed. When this results in an improvement in the efficiency of their research software it is often a by-product of the platform which delivers the content that they require, although this too is beginning to change. The result of this is that legal research is rarely identified as an area for major cost savings or improvements, even with the costs involved increasingly having to be borne by law firms. In order to begin to address this, we need to reconsider how we think of legal resources, and what the providers of legal research tools are capable of offering. Rather than comparing products solely as content bases, more of a distinction should be made between the content itself and the software used to search it, and the questions we should ask should change with that. Specifically, can this software improve the research tasks for which it will be used? Lawyers still rely on vast online repositories of legal resources, with basic search tools as a way to access them. From this perspective, the comparison of content bases makes perfect sense, particularly as online research tools haven’t changed much in the past five to ten years. 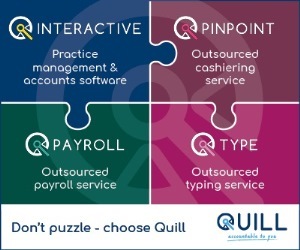 This is puzzling as it is hard to find another industry which hasn’t undergone a revolution in process or delivery due to improvements in software and technology. The work of lawyers requires being able to identify and recognise patterns and relationships in data quickly and efficiently, which is something that intelligent legal research technology can assist with. Companies such as Justis are now providing legal research tools specifically designed to make this process more efficient, so that thorough research can be conducted in less time. Using natural language processing and machine learning algorithms, JustisOne enables legal practitioners to gain insight from data not previously available, through recognising patterns and predicting outcomes. This is possible because of the way legal precedent works; the system of citations can be understood as a network which links cases and legislation over time, with established relationships based on the outcome of cases, which means that legal data is perfect for technological exploitation. By interpreting and visualising that citation network in useful ways, JustisOne can display in seconds what it would take a trainee or newly qualified solicitor hours or more to do. In short, law firms are spending millions of pounds a year asking expensive people to do time-consuming jobs that we know machines are better at. This is not about replacing lawyers with machines, and talking about the stereotypical robot lawyer, it is simply about optimising the approach to legal tasks. It is about breaking the task of legal research down into its necessary component parts, and identifying which can be performed reliably and quickly by machines. In order to do this, we at Justis consider which tasks machines are better at, and which humans are better at. Machines are fast, inexpensive and predictable in the outcomes they will generate. They are good at clustering, classifying, and recommending with enormous datasets. Humans, by contrast, are slow and expensive, but are good at understanding complex concepts and language. The objective is to find a mix which plays to our strengths – transforming a 100% high-skilled human labour job into a 25% high-skilled task where people apply their judgment and expertise, and 75% efficient automation where machines do the grunt work. 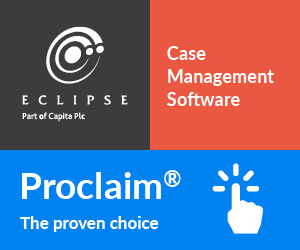 This approach is one we also adopt at Justis, where we utilise machines to recognise and map certain references in documents, such as citations, litigants, judges, courts and subject terms. Alongside this, our team of legally trained editors use their expertise to determine case treatments, and perform a rigorous manual review of citations for accuracy to ensure that the cases and legislation on JustisOne are all mapped correctly. By identifying these references in documents, they can be mapped across entire databases of documents, and interrogated to extract a range of information, which can then be displayed in a helpful, clear manner. In adopting this approach, we see a judgment or legislative provision as more than just a document; they are data rich resources which are interlinked with each other. Value is not simply in providing access to information, it is in the tools built on top of the content that helps lawyers analyse, interpret and navigate it. JustisOne is designed with a range of advanced search and analysis tools that enhance rather than replace legal practitioners’ research skills. By helping lawyers research more efficiently, we enable them to spend more time analysing, synthesising and drafting, which is work that clients view as important. 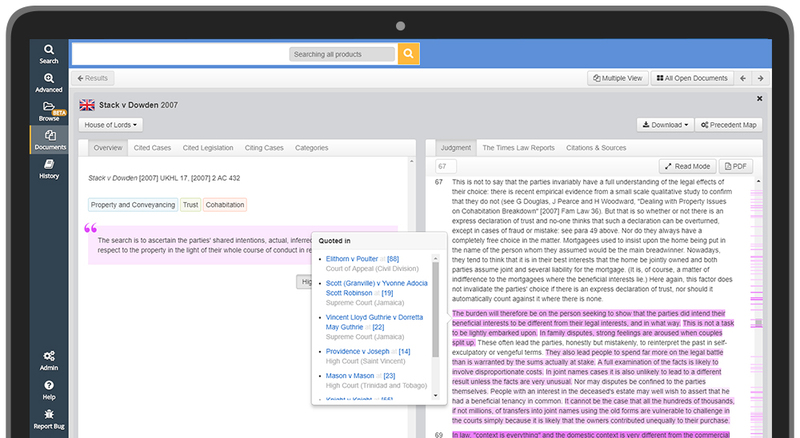 JustisOne enables users to view the most important passages in legal authorities instantly, by highlighting the most subsequently cited paragraphs so that legal practitioners can see how a case has most commonly been used. 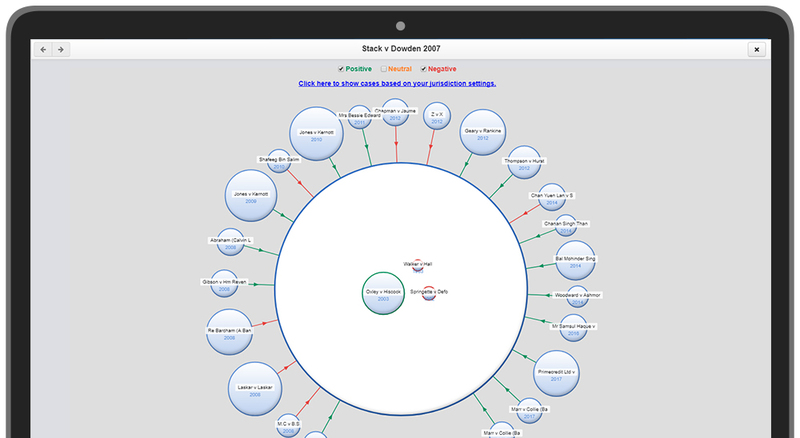 Interactive visualisation tools, such as the Precedent Map, display case relationships in an intuitive way, with a clear display of how a case has subsequently been treated over time – this can show if a case remains current and good law at a glance. JustisOne is also home to the world’s largest legal taxonomy, containing over 1.5 million terms, which powers a browse feature more detailed than any other legal research platform. This also allows users to be confident that searches will return cases which are relevant to their research. While legal research may rarely be identified as an area for major cost savings or improvements, JustisOne demonstrates that not all legal research platforms are the same. If we begin to reconsider legal resources, and consider legal research tools alongside content bases, what are these tools capable of offering, and how they might transform the process of legal research? Can they make research more efficient? Can they allow for cases to be found or analysed in ways that may take hours or longer to do manually? Ultimately, can this software improve the research tasks for which they will be used? Aidan Hawes is Head of Commercial Development at Justis. He has led the migration of customers to their flagship JustisOne platform, whilst focusing on customer satisfaction and retention. Alongside the commercial team, Aidan continues to collate and analyse customer feedback surrounding the advantages to legal technology, ensuring the development of industry led research tools to further the capabilities of a diverse spectrum of clients.